Law of Torts, Law of Contracts – II, Contract- I, Family Law – II, Environmental Law, Maritime Law, Professional Ethics, Administrative Law. Presented a Paper on “Wetland Issues and Biodiversity Conservation” at one day National Seminar on Biodiversity Conservation and Law: Issues and Challenges organised by P.G. Department of Environmental Law and Legal Order, Tamil Nadu Dr. Ambedkar Law University, Chennai in collaboration with Indian Maritime University, June 5, 2012. Presented a paper on “Impact of Climate Change on Coral Life” at a two day National Seminar on Climate Change: Issues and Challenges in International Environmental Law organised by the Tamil Nadu Dr. Ambedkar Law University, Chennai in association with Tamil Nadu Pollution Control Board, Chennai, June 4 & 5, 2011. Assistant Professor, SRM School of Law, SRM Institute of Science and Technology (formerly known as SRM University),Kattankulathur,Since August 2017. Guest Lecturer, Law, Tamil Nadu Dr. Ambedkar Law University, Chennai, 2017. Guest Lecturer, Law, Government Law College, Chengelpattu, 2016. Guest Lecturer, Law, Government Law College, Tiruchirapalli, 2012. Acted as Executive Member in the State Level Moot Court Competition ( Tamil ) organised by Government Law College, Tiruchirapalli, February 19 & 20, 2016. Acted as Seminar Committee Member in UGC Sponsored National Seminar on Issues and Challenges on Labour Legislations in Government law College, Tiruchirapalli, June 23, 2013. Participated in UGC sponsored National Seminar on Unorganised Sector Workers, organised by Department of Economics, Bharathidasan University, Tiruchirapalli, February 17, 2015. Participated in a two day National Seminar on Right to Information and Citizens’s Right to Administrative Justice, organised by P. G. Department of Constitutional Law and Human Rights , Tamil Nadu Dr. Ambedkar Law University, Chennai, April 19 & 20, 2012. Participated at a two day National Seminar on Climate Change: Issues and Challenges in International Environmental Law organised by the Tamil Nadu Dr. Ambedkar Law University, Chennai in association with Tamil Nadu Pollution Control Board, Chennai, June 4 & 5, 2011. Participated in the two days National Seminar on Intellectual Property and Human Rights organised by Tamil Nadu Dr. Ambedkar Law University, Chennai in association with IPPASI, Chennai, April 26 & 27, 2011. UGC NET qualified in June 2015. Affiliation: Department of Automobile Engineering, Kattankulathur Campus, SRM Institute of Science and Technology (formerly known as SRM University). Member of Society of Automotive Engineers (SAE India). N.Kalaiarasi, R.Rajarajeswari, Vaibhav jain, Praveen Shankar,” PV Based Multi-Level Inverter Capable of Power Factor Control with DC Link Switches Using POD Technique”, International journal of Applied Engineering Research, Vol 12,No1, 2017, Special issue, print ISSN 0973-4562. N.Kalaiarasi, S.Paramasivam, S.S. Dash, “Three-Level Quasi Z-Source inverter using Multi-Carrier PWM Technique for PV applications”, International Journal Control Theory and Applications, Vol 10, Issue 16, pp 151-158, 2017. (SNIP-1.466). N.Kalaiarasi, E.Nagalakshmaiah, Subhranshu Sekhar Dash, S.Paramasivam, “Development and Analysis of ANN Based MPPT SL-Z-Source Inverter for Photovoltaic Systems”, International Journal Control Theory and Applications, Vol 9, Issue 39, pp 313-323, 2016. (SNIP-1.466). N.Kalaiarasi, Ravi Varma, S.Paramasivam and S.S.Dash,“DC-AC Cascaded Nine level converter for Battery Management Applied in Electric vehicles” published in International Journal Control Theory and Applications, Vol 9, Issue 15, pp 7035-7048, 2016. (SNIP-1.466). N.Kalaiarasi, S.Paramasivam and Subhranshu Sekhar Dash “Implementation of Switching circuit between Grid and photovoltaic system with fixed and Movable Tracking” International Journal of Chem-Tech Research, ISSN 0974-4290, Vol 9, No 6, pp 367-375, 2016, (SNIP-0.373). Y.Praveen, N.Kalaiarasi,“Design and implementation of a Bidirectional DC-DC converter for renewable energy applications” International journal of engineering and science Research, ISSN 2277-2865, IJSER/ April 2015/Vol-5/Issue-4/147-156. N.Kalaiarasi, K Charishma,“Design of grid connected Photovoltaic Inverter with resonant harmonic compensator” International Journal of science and Research, ISSN 2319-7064, Vol 4,issue 4,April 2015. N.Kalaiarasi, S.Paramasivam, Sanchari Kundu,“Control of Z-source inverter based PV system with MPPT using ANFIS” published in International Review on Modelling and Simulations, ISSN 1974-9821, Vol 7, No 5, PP 797-806, Oct 2014, SNIP-0.434. Uthra R, N.Kalaiarasi, P Srinivas Arun Tej, “Neural Network based vector control of Induction Motor” Journal of computer science & Information Technology, pp75 –83, 2013. Srinivas Arun Tej P, N.Kalaiarasi, S.S.Dash, “Hardware Modelling of Automatic Solar Tracking system” paper published in International Journal of Chem Tech Research, vol 5 –No.2,pp 1030 -1035,ISSN:09744290,April-june 2013, SNIP-0.635. Srinivas Arun Tej P, N.Kalaiarasi “Tidal Power –is our Future” paper published in International Science Journal, ISSN 0976-1152,Dec 2012 ,special issue pp S44-S47. Srinivas Arun Tej P, N.Kalaiarasi “Wireless power Transmission” paper published in International Journal for Science and Innovative Engineering, ISSN 978-81-904760-4-1. Srinivas Arun Tej P, N.Kalaiarasi “Wireless Power Transfer” paper published in International Journal of scientific and Engineering research, ISSN 2229-5518, volume3,Issue 7,July 2012 . N.Kalaiarasi, Sahitya Bhoumik,“FFT Spectrum Analyzer using Goertzel Filter” International Journal of Applied Information systems, volume4-No.5,Oct 2012,ISSN: 2249-0868. Uthra R, N.Kalaiarasi, A.Rathinam, “Stator Current Drift Compensation In Vector Controlled Induction Motor Using Auto-Associative Neural Network” International Journal of Computer Applications, 2011- No 13, Article 6. S.Ajitha,N.Kalaiarasi,“Implementation of Full-Bridge Current-Fed Resonant Boost Converter Using PIC Microcontroller” International Journal of Computer Applications, 2010-volume1-No.7. “FPGA Based Fuzzy Controller for SRM Using Verilog HDL” presented in International Conference on Advanced Power System Automation and Protection, oct18-21 ,2009, Korea. “Efficient Methods For FFT Calculations Using Memory Reduction Techniques” presented in International Conference on Futuristic Computer Applications, Feb 2010 , IISC Bangalore. “Implementation of Full-Bridge Current-Fed Resonant Boost Converter Using PIC Microcontroller” presented in International Conference on Futuristic Computer Applications, Feb 2010,IISC Bangalore. “Efficient Methods for FFT calculations Using Prime Factor Algorithm” presented in International Conference and Workshop on Emerging Trends in Technology, Thakur college of Engineering and Technology, Maharashtra. “An enhanced methodology for maximum Power point tracking in solar powered UPS Applications” International Conference on Energy Efficient Technologies for sustainability (ICEETS13),IEEE, April 16-18,2013. “Comparison of Z -source Inverter with DC-DC Boost converter fed VSI for PV Applications” International Conference on Electrical Energy System (ICEES2014), IEEE, Jan 7, 2014. “Development and Analysis of ANN based MPPT and SL Z-source inverter for photovoltaic systems” International Conclave on Renewable Energy Systems and Technology ICREST-2016, April 6th -8th 2016. “DC-AC Hybrid Cascaded Nine Level Converter for Battery Management Applied in Electric Vehicles”, ICAIECES 2016 & ICPCIT 2016, SRM university,19-21 May 2016. “PV Based Multi-Level Inverter Capable of Power Factor Control with DC Link Switches Using POD Technique”, ICAIECES 2017 & ICPCIT 2017, Madanapalle Institute of Technology, AP, 27th -29th April 2017. “Modelling and Simulation of Single Phase Matrix Converter based Cycloconverter”, International Conference on Advanced Functional materials 2017 (ICAFM17), May 3rd -5th 2017, Adhi college of Engineering. “Simulation of Two Stage Fly-Back converter Using Voltage Control Method” presented in National Conference on Recent Trends in Communication Computation and signal processing, Amrita vishwa peetham. “Simulation of Two Stage Fly-Back converter Using Voltage Control Method” presented in National conference on Innovative technologies in Electrical and Electronics Systems,(ITEES’11), Muthayammal Engineering college. Assistant Professor (Sr.G), Dept of EEE, SRM Institute of Science and Technology (formerly known as SRM University), Kattankulathur,since 2012 to till date. Assistant Professor, Dept of EEE, SRM Institute of Science and Technology (formerly known as SRM University), Kattankulathur, from 2004 to 2012. Actively Involved in report preparation for ABET 2010, 2016 and NAAC 2012. Incharge for Annual report prepared for the EEE department from 2014 to till date. Admissions: involved in Entrance question paper setting from 2009 to 2016 and was involved in the conduction of entrance exam during 2009. Department BoS member for SRM Institute of Science and Technology (formerly known as SRM University). PG project coordinator and review committee member. UG Project coordinator for 2010 and assessment committee member from 2011 to till date. Session Incharge and Technical committee member, International conference on swarm Evolutionary and Memetic Computing, SEMCCO 2010. December 16-18 2010, SRM Institute of Science and Technology (formerly known as SRM University). Organizing committee member and session chair, International conference on swarm Evolutionary and Memetic Computing, SEMCCO 2013, December 2013, SRM Institute of Science and Technology (formerly known as SRM University). Organizing committee member and session in charge- International conference on “Joint International Conference on, “Artificial Intelligence and Evolutionary Computations in Engineering Systems (ICAIECES-2016) & Power, Circuit and Information Technologies (ICPCIT-2016), 19-21 May 2016. Co-ordinator for workshop on “Smart Grid and Smart Metering Technologies”, 10th & 11th September 2015. Co-ordinator for workshop on “Issues in Smart Grid and Green Energy Technology” (ISGGET-2016), 1st & 2nd September 2016. Conducted a one-credit course " EE1501-Smart grid and Smart Metering Technologies and its Applications" in Collaboration with the Flux-Gen Industries, from 21.3.2015 to 09.05.2015 (4 weeks course). On line course “Basics of Electrical Technology” from Alison, 2013. Online Honor code certificate for the course "Energy –The Technology You Must Know in the 21stcentury” from edx, 2014. Online Honor code certificate for the course "Solar Energy" from edx,2014. Online Honor code certificate for the course "Principle of Electric Circuits" from edx,2015. Online Honor code certificate for the course "Energy Subsidy Reform" from edx, 2016. Online Honor code certificate for the course "English Grammar and Essay Writing" from edx,2016. Online Honor code certificate for the course "Analyzing and Visualizing Data with Excel "from edx, 2016. Recognized for 100% result in Analysis of Rectifiers and DC choppers in the year 2004-05. Winner up in Throw Ball in the Inter House Staff Tournament held from 10-12th March 2011. Staff Coordinator in Prasentatio Event in Aaruush 13, 18th -21st September 2013. Cash award Rs.2000 for publication achievement during the year 2012–13. Cash award Rs.10000 for publication achievement during the year 2014–15. Anshul Thakur & G. Kalaimagal , Intelligent Monitoring System For Carbon Monoxide Poisoning And Leakage In Mines Int. Journal of Engineering Research and Applications, Vol. 4, Issue 3( Version 1), March 2014. Ch.Raviteja & G. Kalaimagal,An RF system Tracking in Indoor Environment, IJERSS Vol. 4, Issue 4, April 2014. Mohammed Tabrez Ud Doula & G.Kalaimagal, Enactment of SCADA system for Judicious Dwelling, Int. Journal of Engineering Research and Science & Technology, Vol.3, Issue 3, May 2014. G. Kiran kumar reddy & G. Kalaimagal A Hybrid Network For Greenhouse Management Using Can And Zigbee, IJERSS Vol.1, Issue 4, April 2014. Assistant Professor (O.G), Department of ECE, SRM Institute of Science and Technology (formerly known as SRM University), Tamil Nadu since June 2012. FDP certificate from Prathyusha Institute of Technology and management on EMF, 1st – 5th December 2010. Participated in Mission 10x workshop at RMK Engineering College at Kavaraipettai, 7 – 11 February 2012. Obtained online certificate from edx MITx 6.002x:Circuits and Electronics issued on December 19th 2014. Workshop on “Reconfigurable communication system design using NI platforms” 21st -22nd August 2015, SRM Institute of Science and Technology (formerly known as SRM University), Kattankulathur. Conducted two days workshop as a coordinator in Multisim software on 30th June to 01st July 2016. Worked as a Senior Assistant Professor in AGNI COLLEGE OF TECHNOLOGY OMR, Chennai-600130 from 1.12.2006 to 30.4.2017. 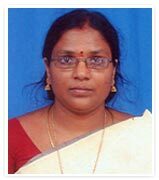 Senior Lecturer, Department of Mathematics, SRM Institute of Science and Technology (formerly known as SRM University), 01.09.2008-till date. Ganapathi Sundaram Award for Mathematics in I M.Sc. Kalaivani, J & Vinayagasundaram, B 2016, ‘Deadlock Free Load Balanced Adaptive Routing for Network on Chip (NoC) Systems’, Journal of Computational and Theoretical Nanoscience (JCTN), vol. 13, no.10, pp.7592-7598, ISSN:1546-1955 (Print): EISSN: 1546-1963. Kalaivani, J & Vinayagasundaram, B 2013, ‘K-Step Look Ahead in Load Balanced Adaptive Routing for Network on Chip (NoC) Systems’, International Review on Computers and Software (IRECOS), vol. 8, no. 6, pp. 1271-1278, ISSN: 1828-6003. Kalaivani, J & Vinayagasundaram, B 2016 April, ‘Energy aware scheduling and dynamic job mapping algorithm for Network-on-Chip architectures’, In Recent Trends in Information Technology (ICRTIT), 2016 International Conference on, IEEE. pp.1-4. Kalaivani, J & Vinayagasundaram, B 2013, ‘Load balanced adaptive routing with reduced overhead for Network on Chip (NoC) Systems’, In Information Communication and Embedded Systems (ICICES), 2013 International Conference on, IEEE. pp. 893-898. Associate Professor, CSE Department, Adhi College of Engineering and Technology, Walajabat, 2017 - 2018. Teaching Fellow, Computer Centre, Madras Institute of Technology, Chromepet, 2011 - 2017. 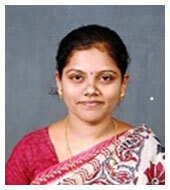 Teaching Fellow, IT, Madras Institute of Technology, Chromepet, 2009-2010. Lecturer, IT, Madha Engineering College, Kunrathur, 2008-2009. ICTACT Bridge 2018 at ITC Chola. 2 Day Workshop on “Research Methodologies and Effective Paper Writing using LaTex” during 8–9 March 2014 organized by Computer Centre, MIT, Anna University. 2 day workshop on “Recent Trends in NS2 Simulation Tool” during 30-31 January 2014 organized by IT, Saveetha Engineering College. Two day workshop on Network Simulator conducted at CT, MIT, Anna University during 29th -30th January 2013. 3 day workshop on Research methodologies conducted at the Computer Centre, MIT campus during 4-6 January 2013. Seven days Faculty development program on Design and Analysis of an algorithm conducted at CSE, Anna University during 10-16 December 2012. Six Day program on Advanced Java at MIT Campus. First National Conference on Emerging Trends in Information & Communication –NCETIC’12 conducted at MIT Campus during 27 April 2012. Two days ISTE Workshop on Writing Effective Conference Papers conducted by Indian Institute of Technology Bombay at Anna University. The four day program on cryptography and network security conducted during 15- 18 September 2011 at Computer Centre, MIT campus, Anna University. Seven day workshop on Java conducted during 7-14 June 2011 at MIT Campus. 4G technology session during 3rd June 2011 in ICRTIT 2011 at MIT Campus. Five day workshop on Wireless Sensor Networks and Cloud Computing conducted during 16-20 May 2011 organized by Computer Centre, MIT campus, Anna University. Affiliation: Department of Periodontics, SRM Kattankulathur Dental College, Kattankulathur Campus, SRM Institute of Science and Technology (formerly known as SRM University). Comparison of 2 different techniques laser and conventional in management of hereditary gingival fibromatosis in split mouth design- a case series. MDS Senior Lecturer in Department of Periodontics SRMKDC from 2013 till date. Second Best Poster award for “Patience is a lost Virtue (in implants)” – 1st annual conference Coalase 2010 held on 8th January 2010 Kodaikanal. Perio Interactions edition 2” held on 12th November 2009 at Saveetha Dental College, Chennai. “International Academy of Periodontology Regional Meet” held on 27th – 28th August 2010, at Chennai. “Perio Interactions edition 3” held on 16th November 2010 at Saveetha Dental College, Chennai. “Oral Medicine - The academic Bridge between Dentistry and Medicine” held on 29th October 2013 at SRM Kattankulathur Dental College, Chennai. “Periobytes – 2013” held on 6th November 2013 at SRM Kattankulathur Dental College, Chennai.